Roulette. The game of chance. The winners are the fortune's pets. Roulette has no compassion or pride. It just spins and tells the numbers. It is the game that makes you feel excitement, disappointment, luck and groove. If you consider yourself to be lucky try to play this game. There are several types of roulette that gives you a choice. The rules are not difficult and are so easy to learn. If you have never tried this game, you will be glad to try and enjoy it. 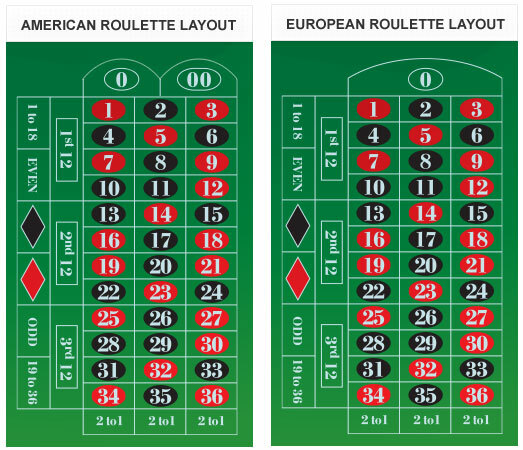 There are three main variations of roulette: European, American and French roulette. The difference between them lies in the number of pockets and level of house edge. Most modern casinos feature both versions of roulette providing a choice for the players. Come on, try your skills at a fantastic American or European roulette game and claim for fantastic bonuses that are waiting for you! European roulette has 37 pockets, American roulette has 38 pockets. European and French roulettes seem to be more attractive, because players have more chances to win. The house edge of the American roulette is higher, because the layout is double zero. The European roulette has a single zero. You should always pay attention to which game you are playing. French roulette is just like the European but the difference is the En Prison and La Partage rules (roulette rules). The rules of all the roulette variations are extremely easy. Looking for a place to play roulette game? How about top destination for all roulette players - Rushmore casino. Get amazing bonuses and play fantastic games. 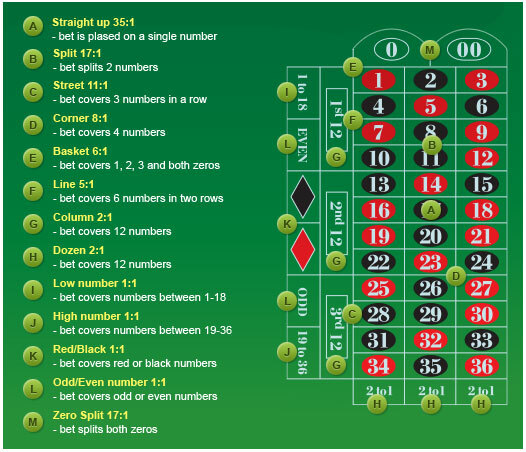 For many players the most difficult part of the roulette game is to memorize the payouts for the bets. There are outside and inside bets in this game. There are also different strategies developed on the basis of the outside bets. But the thing is that they do not work in a long run. For the short period of time it may seem that you are winning but in reality it is not like that.